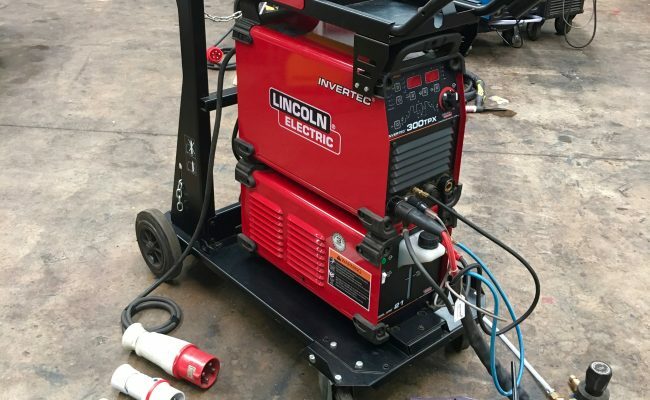 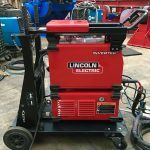 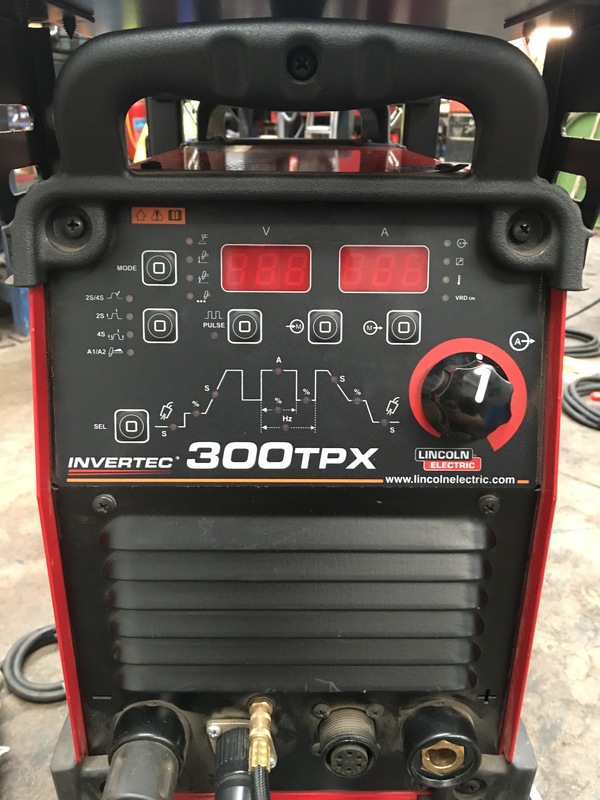 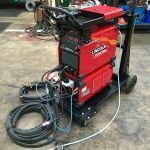 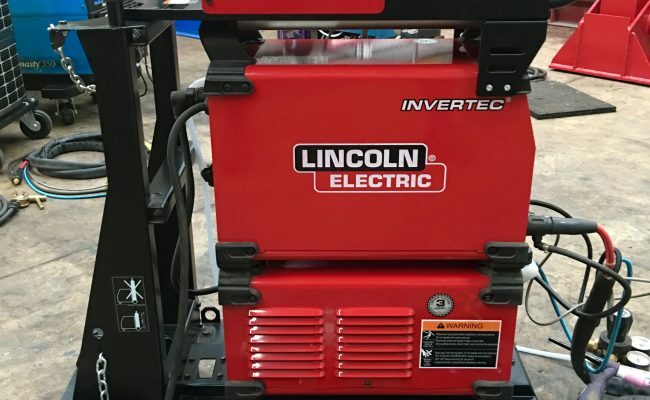 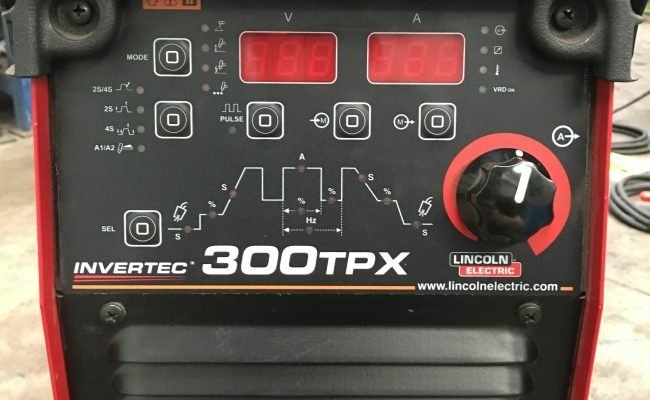 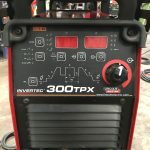 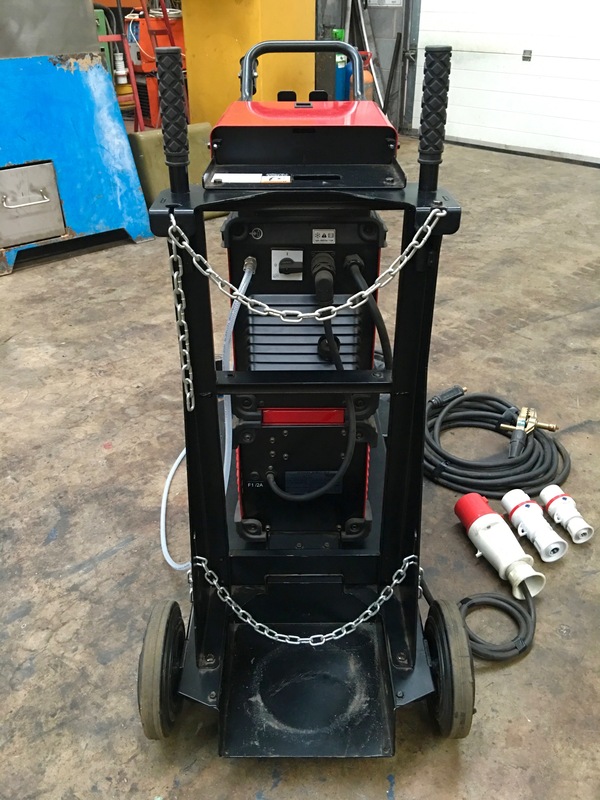 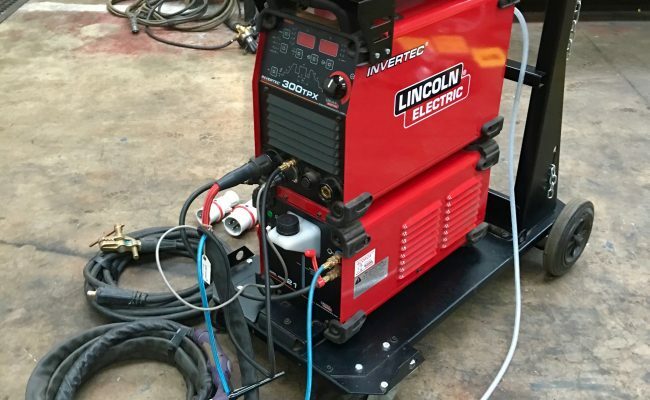 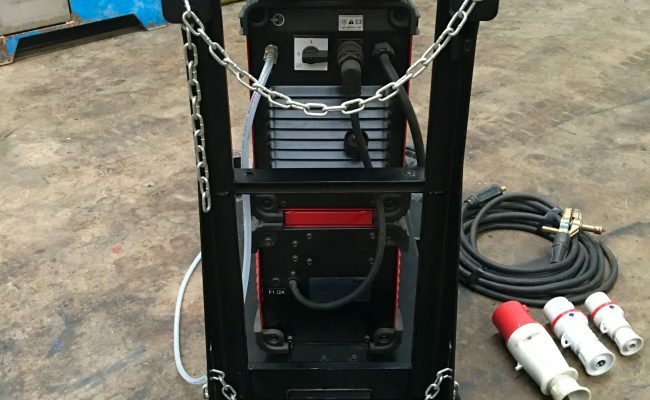 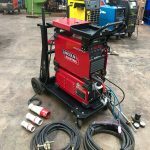 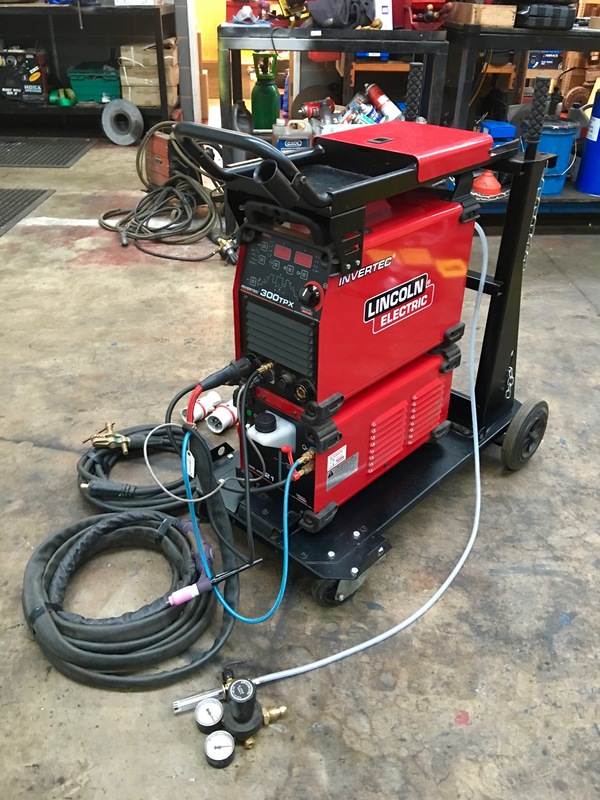 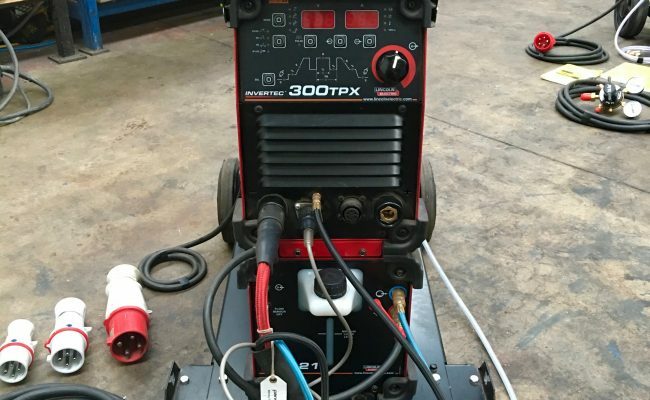 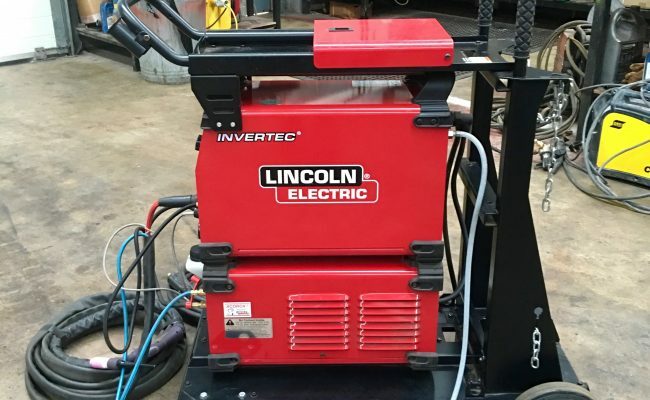 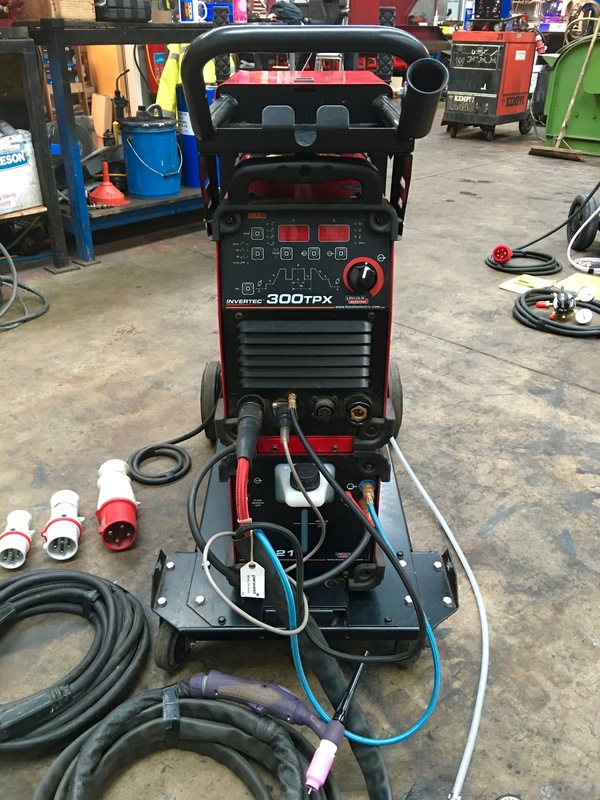 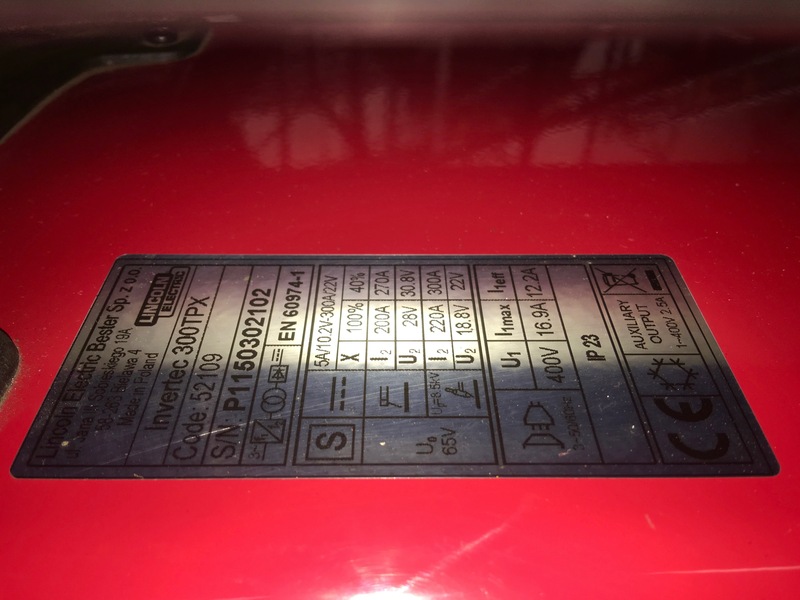 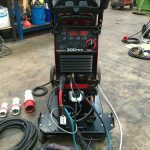 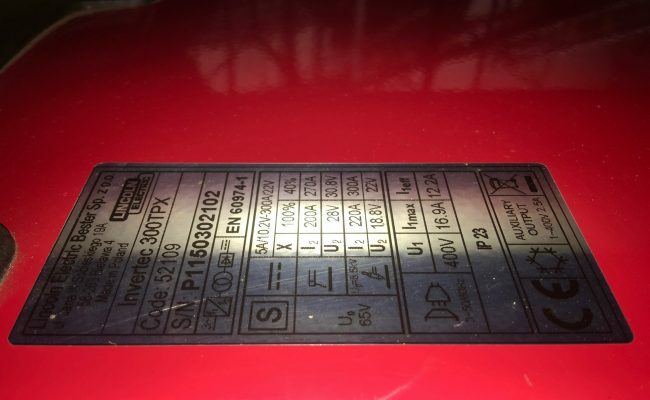 The TPX 300 water cooled model is a fabulous TIG inverter welder and we love having it on the hire fleet. 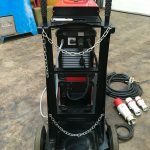 Everything has been thought through carefully, from the double chained bottle carrier on a compact rigid trolley wheel kit, an interlocking removable water cooler, as well as being small and lightweight meaning no fork lifts truck so we can squeeze lots of these sets in the back of our Doblo van. 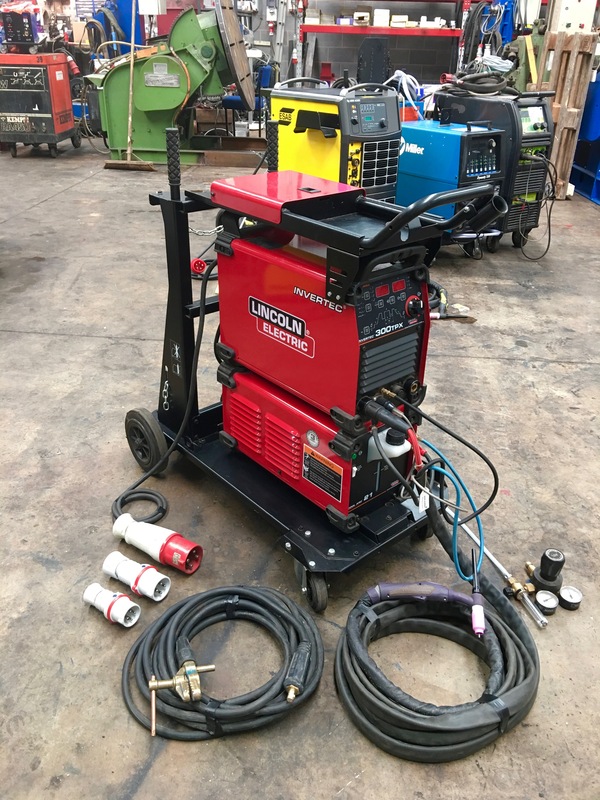 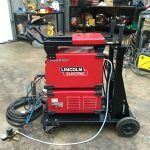 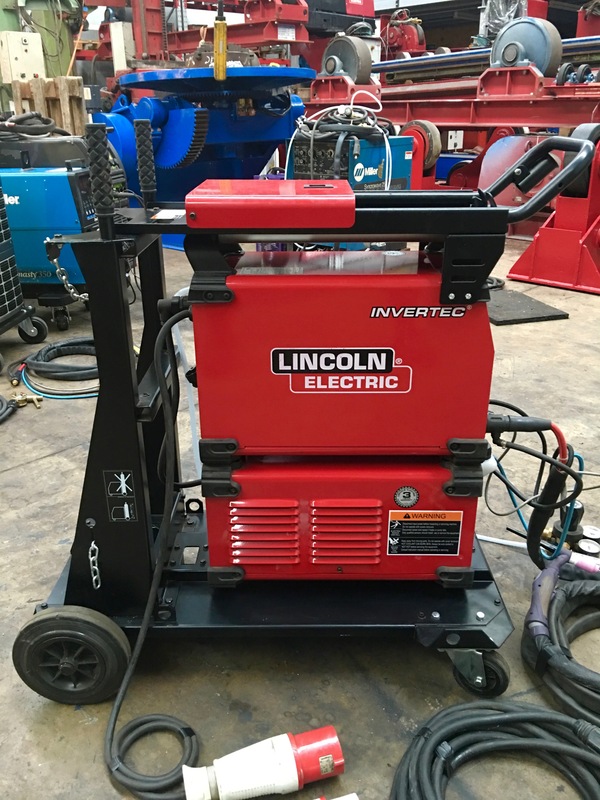 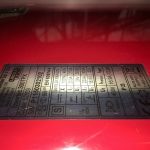 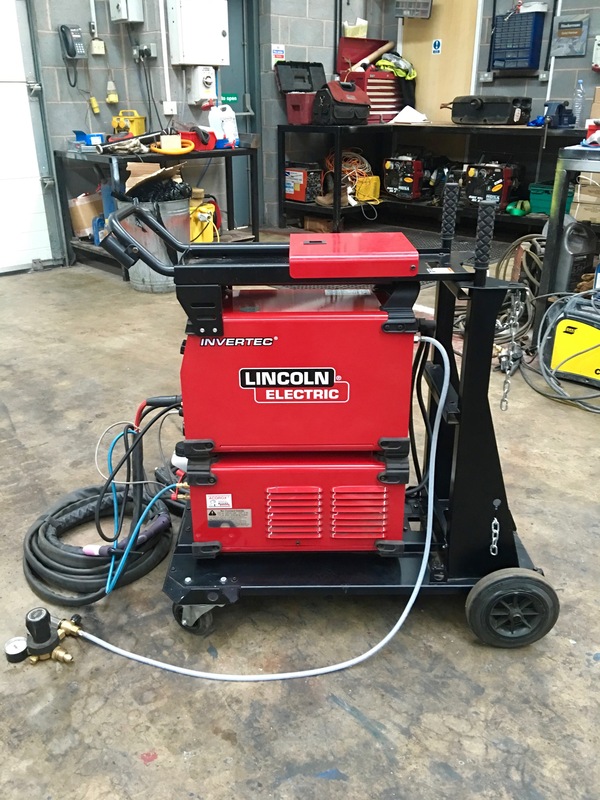 This DC TIG welder is absolutely ideal for welding 10mm plate with a duty cycle of 220 Amps @ 100%, as the Cool Arc 21 water cooler provides outstanding powerful flow keeping the torch perfectly cool for all day welding.